HIS-ASB-2011-07-07 – On July 7, 2011 I had the privilege of investigating Asbury Lanes with a team from Paranormal Books & Curiosities, Asbury Park. Shortly after 8:00, Kathy, Chris and Nicole (our host investigators) broke the group up into two teams to begin the several hour event. 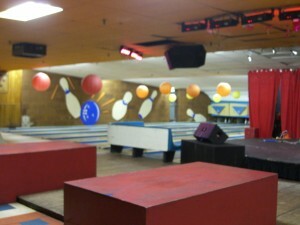 With Chris and Joe, I started walking towards the area behind the bowling lanes. It was a tight walk down the hall and we choose to walk on the wooden plank above the pin setting machines. With reported activity surrounding lane 3, we walked down and stood between lane 3 and 4. While there I had personal experiences of movement in the shadows and phantom footsteps. While there I was able to catch the following EVPs. This was captured while we were having personal experiences in the back of the bowling alley. 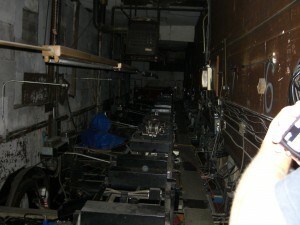 You hear the clicking of a flashlight because we kept seeing movement at the end of the walkway we were on.